OFICINA BLOG – Michal Bohanes: How to quit your job and start a business. This is a guest blog by our Entrepreneur in Residence Michal Bohanes @mbohanes. This article is for anyone who is considering starting a business in the Balkans. If you’re already an entrepreneur working on your startup, this will probably not be interesting. In this case, please do share the article! Many people want to be like you. And this is a recipe to get there. Oh, I’m not saying you should. Starting a business is not for everyone. In fact, it almost certainly will lead to a lot of pain and insecurity, rejection and humiliation. And you will have to be insanely strong to not give up. But if you have that itch and feel like there must be more to life than being in a boring job that allows you to go to on holiday once a year and save a bit for retirement — then read on. Because there is also a good chance you’ll have fun, make a decent amount of money, and boost your confidence if you’re successful. And in my opinion, this makes it worth trying. What do I mean with “running your own business”? In fact, the vast majority of businesses look much more like the last picture, not like the one above. So don’t be intimidated by the concept. Anything where you build a system that at some point in the future will allow you to draw an income without having to work — that’s a business. (In Step 5 far below I discuss the difference between Self-Employment and Business Ownership). So why do I recommend starting your own business? You could be very successful and make a lot of money. That in itself is a delightful idea. Not because you can buy expensive crap. That won’t make you happy. What WILL make you happy is: being able to help a friend out who is in need; buying your mum a new car; investing in someone else’s business; give to a charity; sponsor a promising artist; have time to see the world, read the collected works of Gabriel Garcia Marquez during the day and learn to dance salsa at night; learn about Artificial Intelligence and how it is changing the world. Whatever you are interested in, money will allow you to pursue that. Money = freedom. You are more in control. I’m not saying that you are fully in control. You can’t control your customers, the market, and you can’t ignore what your investors (if you have them) tell you to do. But you’re much more in control than when you are an employee and have to punch in every day at 9am and are always on the edge of getting fired. As a business owner, you choose who you work with. You choose which customers to pursue and which ones to dump. You choose how you position your brand. Most importantly, you choose to leave work early and have a date with your wife, visit your parents or attend your daughter’s school performance. And control over your life’s circumstances leads to more happiness (research supports that). You make yourself more valuable in the job market. Most businesses fail. But the upside is: If you fail, you will at least become much more employable. Employers will value your courage, your leadership, the fact that you had to fight for yourself and get customers, run the numbers, hire and fire — all of that. You will be a much better leader after having gone through failure. Now, this is generally true in the UK where I live. But I understand that this might not be true in the Balkans. (In Austria, where I lived for 20 years, it’s much more of a stigma to fail at a business). If you are concerned about this, you’ll have to hedge against this risk and make your business more failure-proof by increasing the length of your runway. I’ll explain. Keep reading. It keeps the dream alive. If you stay in your job, you know for sure that you will never get rich (unless you win the lottery or you have a rich aunt for whom you’re making plans to make it look like an accident). Having your own business keeps the dream alive that while the chances of success are low, they are far higher than Zero. And this kind of hope often gives people a strong purpose and lust for life. And beyond money, it keeps the dream alive that you could have a significant impact on the world because your products or services are widely used and loved by your customers. Old? Doesn’t matter. Yes, it’ll be harder than if you were 20 years old. But there are plenty of examples of people who became successful as entrepreneurs in their 40s, 50s and 60s. Poor? Doesn’t matter. Yes, it’s much harder than if you were born with a silver spoon in your mouth. But again, there’s plenty of examples of people who made it from rags to riches. There are ways. How committed are you finding yours? Uneducated? Doesn’t matter. There has not been a better time to get educated. In 2017, so much information is freely available that you can get a massive head start just by using free content and get into the top 1% of experts in the world about any given topic. You just need the know-how to learn and the stamina to push through. This may even mean that you have to become better at English so that you can understand all the online resources. Thankfully, this is also possible to do completely for free — you just need the discipline. All these, and other, cases where you see a disadvantage in your circumstances simply mean that it will take you longer than someone who doesn’t have this disadvantage. So what — you won’t be successful 10 years from now, but 15. Big deal. And that’s the most important thing in the world. You will have to hedge yourself more against failure by working on the length of your runway. Read on. Look, I get it. It can seem overwhelming and it can feel like all those great success stories are for people in the West where governments are less corrupt, business infrastructures are better, and established companies are more meritocratic and less nepotistic. But that’s all just excuses. Starting a business is hard everywhere you go. It’s not like anyone starting a company in the UK has success guaranteed. A challenge that e.g. the UK has that the Balkans don’t have is that a) seemingly every conceivable niche is already occupied and has dozens of competitors and b) that some of the best minds go into entrepreneurship, so whatever you do, chances are your competitors are smart as hell. In the Balkans, many interesting niches are not occupied yet or are being served poorly. A real entrepreneur doesn’t complain about their limitations. They accept them as a given and find their way around them, safe in the knowledge that, unless war breaks out, a flood destroys their home, or an anti-business dictator takes over, there are paths to success — and it’s just about uncovering them. OK, enough of the preamble, let’s get to it already: How to quit your job and start a business. I don’t like the idea of just quitting your job to start working on your business if you don’t have enough money to support yourself in the long run. Whenever you hear about successful cases of “building your parachute after jumping out of the plane”, there are hundreds of cases you haven’t heard about where this approach backfired and people ended up broke with their business in tatters. I know because I’ve been one of those cases. I will discuss at a later stage what I see as the key difference between your freelance work and your actual business. Of course, if you are in a well-paid job that allows you to save up a lot of money, you can of course skip the freelance stage and go straight to business owner. But there is a risk that if you DO run out of money by a time when your business isn’t making enough money yet, you may have to go back on the job market — something you wouldn’t have to do if you had a marketable freelance skill. We’ll explore this topic a bit further down. The journey will be very long and difficult. More so than you can imagine. And the temptation to give up will come at you every day. You have to anticipate this temptation and make sure that you are able to resist when it shows up. Preparing for this moment is crucial. 1) Surround yourself with the right people. As Jim Rohn said, “You are the average of the five people you spend most time with”. Choose to spend more time with people who are supportive of your plans. It should still be people who challenge you and give you helpful feedback. If you don’t have such people in your current social circle, make new friends. I will explore this topic in a dedicated article because it’s so important. In the meantime, there’s a great article from James Altucher where he speaks about finding mentors through books (point D). 2) Read. a) Self-help books are great for inspiration and to help build mental resilience. There’s only two problems with them: a1) Many of them are pretty bad. They have one or two decent ideas and the rest of the book is padding. Often, they are written by people without the credentials to be giving advice. So it’s important to be critical and spend your time wisely on them. a2) even if they are good, it’s easy to get lost in them and to not take action. So limit the time you spend on them. b) Blogs are another great source of inspiration as well as c) Biographies of people who have overcome hardship. You can find a short list of my favourite reading materials for entrepreneurs here. 3) Build your werewolf cage. As sure as the sun will rise tomorrow, at some point you will get down and think you can’t make it. You have to be prepared for these moments. 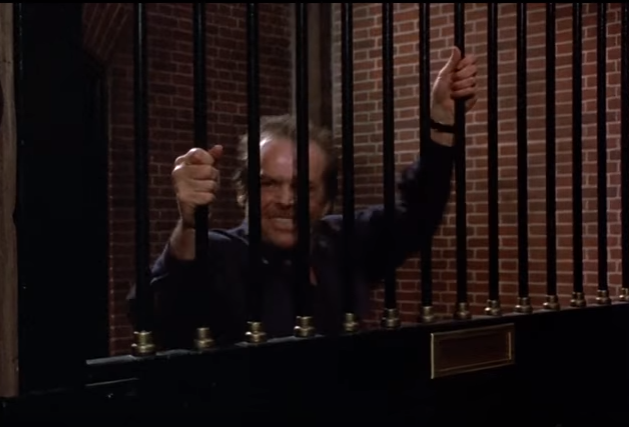 In the climactic scene of the film “Wolf”, Jack Nicholson, knowing that at midnight he will transform into a werewolf and lose control over himself, locks himself inside a horse cage so that he can’t hurt Michelle Pfeiffer. When you are down and want to give up, you are also barely in control of your own feelings and actions. You may do something you’d regret later on (like abandon your mission and start looking for a job). So you need to take advantage of your positive, lucid moments now and build mechanisms that will keep you from doing damage to others and yourself when the moment of darkness comes. Everyone has their own style of werewolf cage. For example, I’m a very rational person and just need to remind myself of things I know are true. I have a document where over the years, I’ve listed my limiting beliefs that have popped up in my head over time. Over the years, I’ve collected notes on what I believe to be true when I’m in a positive mindset, on lessons learned from wise men and women I had the fortune to speak with and quotes from books that have influenced me. I have this document bookmarked, so that whenever I feel bad and my brain decides to play one of its greatest hits (e.g. “You’re just an imposter and will be found out”), I go to the document and re-read all my notes I have made about that particular topic. That usually does the trick and I get up again. Planting your mindset garden is an ongoing, never ending process, in which you acknowledge your inner demons, get to know them, and protect yourself from them doing harm to you. Careful: There is a risk of overplanting. Many people who can’t get their act together do too much in preparing for the jump into the unknown and never take proper action. So make sure that in your time allocation (see Step 3 below) you limit your mindset garden planting time to a couple of hours per week. When you are starting from scratch, quitting your job is not the beginning, but more like the mid-way point in your journey as an entrepreneur. You need to build yourself up to that moment. You need to have several months of “runway” available before you quit your job and work on your business. What do I mean by runway? It’s the amount of time that you can keep going without making any money from your business. If you have €5,000 in savings and you need €500 per month to keep things at home going (pay rent, put food on the table, educate your kids), your runway is 10 months. Important: Don’t deprive yourself. You need to be in it for the long haul, so it doesn’t make sense that you limit your monthly expenditures to a bare minimum, living on bread and water. This means that if your family is used to go on holidays, you should allocate some money for that when calculating your runway. 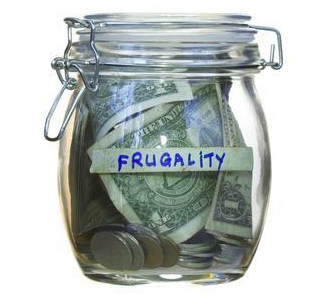 Sure, it’s ok to (and you should) cut down on a few luxuries you might not need. Taking the taxi less often and cooking at home instead of regular restaurant meals are not major sacrifices for most people. how quickly you’re likely to start making money from your business. That depends strongly on the nature of the business. But as a rule of thumb: Everything usually takes 2–3 times longer than you think it will take. Only you will know the answer to this, but generally, I recommend you to be conservative in this respect. 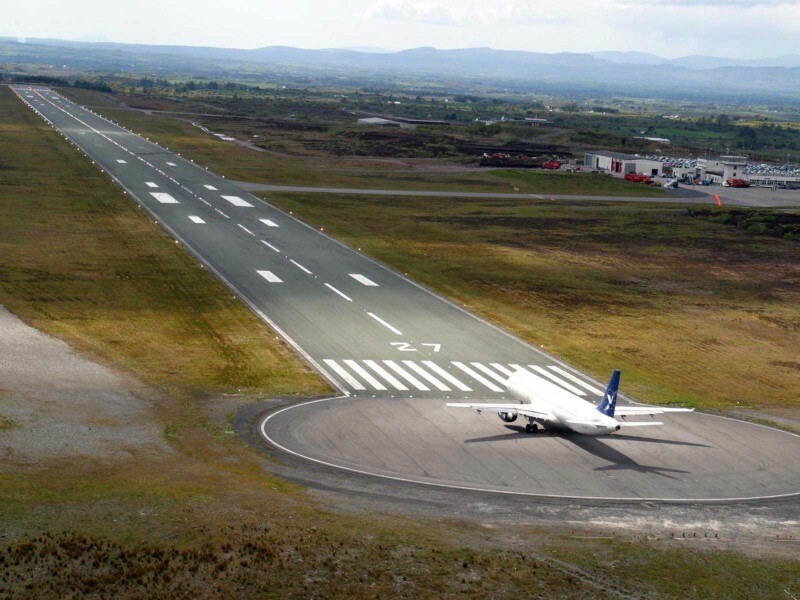 How can you build and extend your runway? There’s two ways to do that, and they can be combined. The second is far better in my opinion. You simply build up savings until you have enough to have a 12+ month runway. The problem with this is that it can take a really long time to do that with a normal middle-class job. In the meantime, opportunities seem to slip through your fingers. Some people start taking on side work to make extra money, e.g. they do security work or bar tend on evenings and weekends. That is possible, but it has two big drawbacks: First, these side hustles tend to be worse paid than your main job, and it’s quite demoralising to have a second, badly paid job eating up your social time. Second, these jobs tend to not develop you as a person. You don’t learn much in them. You’re just exchanging your time for (small amounts of) money. And that’s why the second alternative is better. 2. 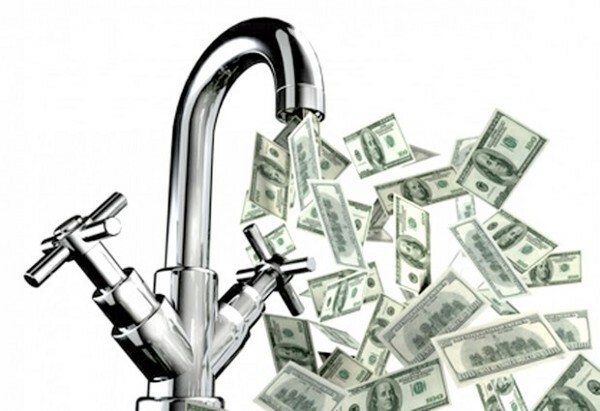 Building a durable “money tap”. With this, I mean developing a skill that you can leverage to make money as needed. Something that you can do for 10 or 80 hours/week, as it suits you. Ideally, it would be a skill that will help you in your future business, whatever you will be setting up in the end. It should be something where you do more than just exchange your time for money, something where you learn and can improve over time. I am biased towards online skills, so my recommendations below are mostly focused on that, but I’m sure there’s many others. And here’s 72 more ideas. Which one to choose? Look where your existing talents lie and build on that. If you’re decent at drawing, you’ll have an easier time to get into graphic design than if your friends can never decipher your doodles in Pictionary. Each of the above skills take you between 100–300 hours of study and practice to learn to a level where you can start charging money for them. Not much, but let’s say €3-5 per hour. As your experience and the number of successfully completed projects grow, you can start charging more. In one year, if you do a good job at what you do, you’ll be able to charge €30–40 per hour. Great graphic designers often charge double that rate. A WordPress developer I know in London charges $100 per hour. You decide the pace. You choose the number of hours you work per week. If one week you’re sick, don’t work at all. If things are slow in your main job, crack open a book or switch on Youtube, and learn using shortcuts in Photoshop. This is far better than alternative side hustles that rigidly ask for your presence at a job between 7 and 10pm, for example. They can be highly relevant for your future business. One year from now, when you’ll be setting up your new business, it will come extremely handy that you’ll have been doing Facebook marketing over the last year or two. They are valuable across the world. Location doesn’t matter. And this is probably the greatest thing from the Balkan perspective. The average monthly salary in the Balkans is between €300 and €500. Within one year of deliberate practice, you can get yourself to a point where you earn €30 per hour and 15 hours of work per MONTH can pay you an average monthly salary. Just imagine what you could do with the rest of your month if your monthly financial needs were met after just two days of work! You can always restart them. Imagine you’re working on your real business and have a bit of a personal cash emergency, e.g. your car breaks down and you have to buy a new one. If your business allows it, you can pause it for a month, work 80 hours a week on your freelance skill and make the money to get a new car. Or what if your main business idea fails and you are looking for the next opportunity. Instead of having to do job interviews, you simply restart your freelance work and make as much or as little money as you need to keep things going. Decide on what valuable skill you’d be good at and start studying it. There is an endless stream of free learning resources online. Just start googling and you shall find. The better ones cost a little bit of money, but the value of something like lynda.com where you pay $20 per month for an unlimited amount of videos is off the charts. Register on websites such as upwork.com, peopleperhour.com, fiverr.com or freelancer.com and check what kind of projects people are working on. Make sure that your ongoing education reflects those projects and that you don’t learn irrelevant things. Read up about freelancing strategies. There are many productive shortcuts on how to get to a high hourly rate quickly. This is a good article to start with. Get some reference projects done for free or very cheap. Make sure you do a terrific job on them. There’s a great line from Neil Gaiman about freelance work. He says that clients keep working with you a) if your work is good, b) if you’re easy to get along with and c) if you deliver your work on time. And fortunately you don’t even need all three: two out of three is fine. If your work is good and you deliver it on time, people will tolerate how unpleasant you are. People will forgive the lateness of your work if it’s good and you’re a joy to work with. And you don’t have to be as good if you’re on time and it’s always a pleasure to hear from you. Showcase your portfolio. At the very least you do that on the freelance site you’re signed up on, but also put it on LinkedIn and ideally build your own site. Keep updating it and over time you will be able to charge more and more money. You can go at your own speed here — and that’s the big advantage of this kind of money tap. Here is where the long and unglamorous climb begins: The actual execution of your plan. There’s no way around it — you need to put in the hours. Next to a full time job of 40 hours, at the very best you will be able to put in an extra 30 hours of freelance work. More realistic is 10–15. Be ambitious (= not lazy) but make it sustainable in the long run. Below are some suggestions on how to allocate your time. Track your time and make sure you don’t slack off. Every day at night, I track in a spreadsheet how many hours I worked on each area I consider important. It doesn’t take more than 1–2 minutes, and it allows me to keep track of my effort. Before you quit your job, make sure you have saved up enough money by then to be able to survive a lull in your freelance work. 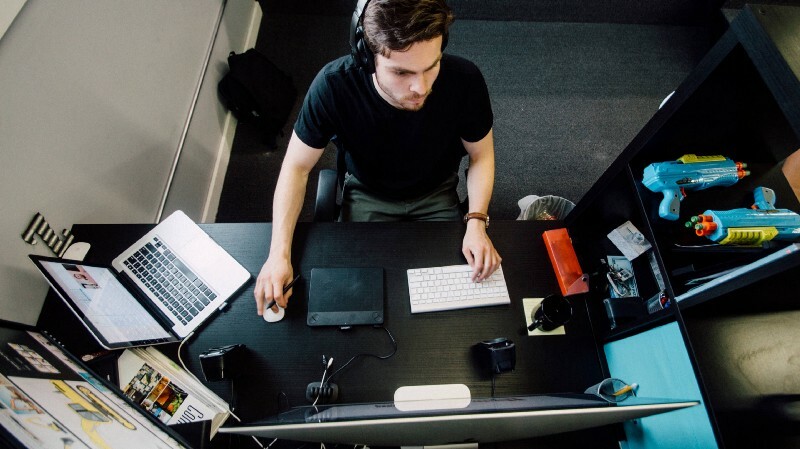 A short term lack of projects shouldn’t be the death sentence to your entrepreneurial plan — it would be very unfortunate if you had to go back on the job hunt. So I’d recommend you have at least 3 months of runway by the time you quit your job. Also, you should only quit at an earnings level where if you worked 40 hours per week, you would be making at least as much as you made in your previous job. Don’t put it off too much — at some point you will have to quit your job. It’s unrealistic to expect that you’ll be able to get a business idea to sustainability, all the while working in a full time job. This is why the freelancing career is so important — it keeps your business plans afloat and you can flexibly dial it up and down. It’s important to understand the difference between your freelancing activities and owning a business. 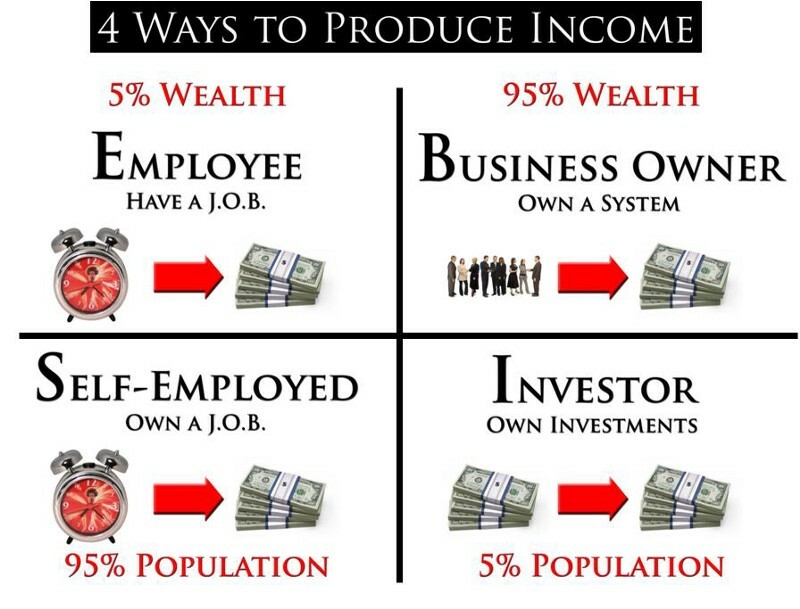 The big difference between Self-Employed and Business Owner is that the latter has built a system that generates the income. The former still engages in a transaction of their time vs money. If you are building something where you will be able, at some point, to remove yourself from the organisation and the income will keep coming, you are a Business Owner. If not, and if your personal presence and work is required, you are Self-Employed and own a job. Organisations can transition from Self-Employed to Business: For example, if you run a marketing agency and your clients rely on you personally to provide the work, you are self-employed. You may have employees, but you can’t leave and sit on the beach. Even if you are a highly specialised expert who charges $1,000 per hour, you are Self-Employed. But: If you create a system for your marketing agency that allows your employees to take over and manage all clients from beginning to end without your input, you have transitioned to Business Owner. Enjoy sipping mojitos in the sun. So this is where this long article ends. Much has been written about starting a business, and I won’t go deep into that. Read The Lean Startup or any other good business book (here’s my recommended reading list) and look around you to uncover the endless opportunities that are out there. And when you’re ready to jump into the cold water of starting your own business, get in touch with Oficina — we would be very happy to help you in taking your idea to the next level.